This is a tasty little snack! 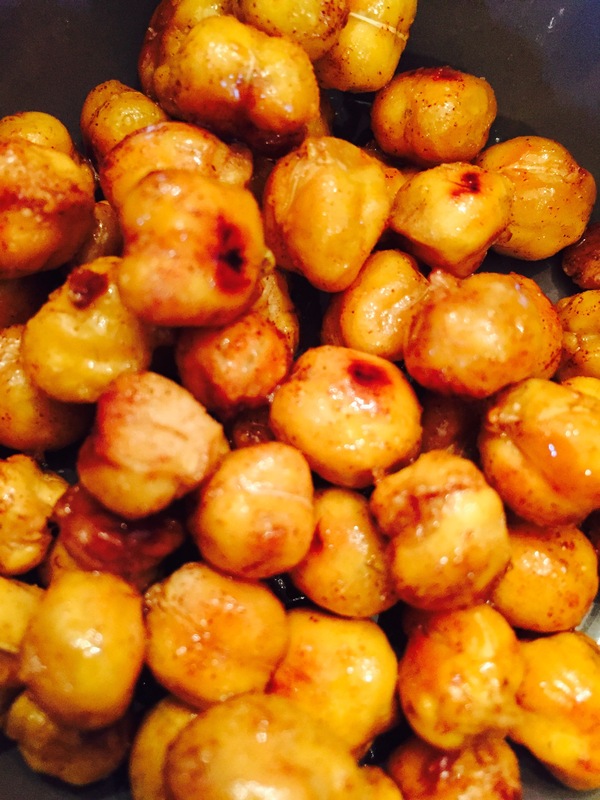 Drain and rinse the chickpeas and allow to dry out on a paper towel- then put them on a baking sheet and cook for about 35 mins (watch to make sure they don’t burn) at 400 degrees. Taste test to check for the right crunch! 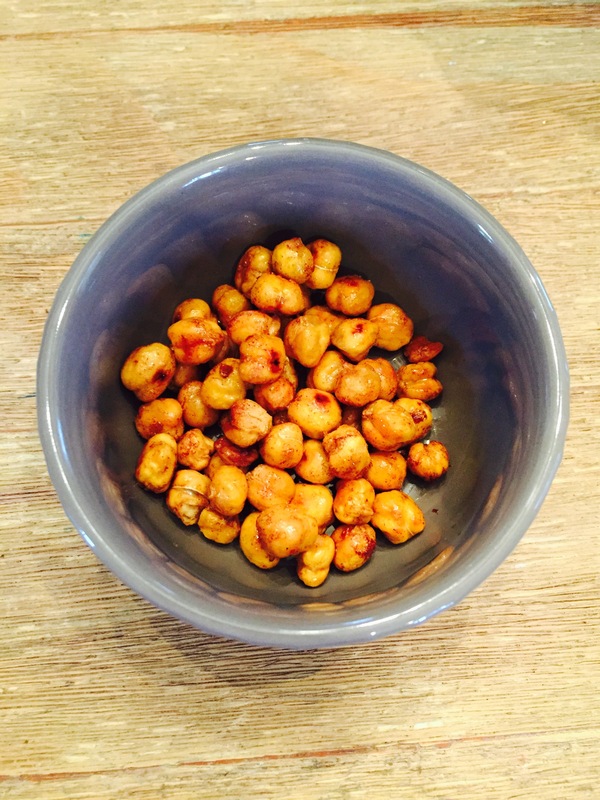 Then put the chickpeas in a bowl with the coconut oil and mix it all together with the other ingredients. When you are done mixing throw them back on the baking sheet and let it cook for 5 more minutes. Going Old School! – Slim Fast Day 1 …..